The agricultural industry is likely to grow well in the second half this year as drought, salt intrusion and the central region’s fish death has relented, said Minister of Agriculture and Rural Development Cao Duc Phat at a regular cabinet conference yesterday afternoon. In the first six months this year, natural disasters caused a total damage of VND16.9 trillion (US$759 million), accounting for 0.9 percent of the economy’s total value. Of these, salt penetration left a reduction of 1.3 million tons of rice in the Mekong Delta and the mass fish death sharply lessened seafood exploiting output in the central region. But in return breeding and exports strongly grew. According to reports by the Ministry of Planning and Investment at the conference, gross domestic product (GDP) growth rate was 5.52 percent, much lower than the rate of 6.32 percent during the same period last year. The decrease in GDP growth rate is due to drop of agricultural and industrial growth rates. 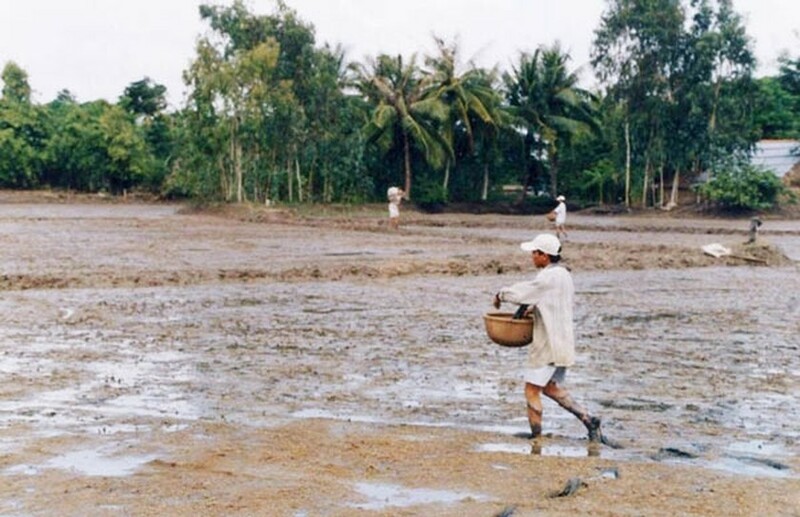 The agricultural growth rate dropped 0.78 percent because of many difficulties such as cold and icy condition in the northern region, salt intrusion and drought in the Mekong Delta, south central region and the Central Highlands and sea environmental pollution in the central region. The industrial growth rate just reached 6.82 percent, much lower than 9,66 percent during the same period last year. Mining industry saw a year on year decrease of 2.2 percent. It increased 8.48 percent a year back. The ministry said that inflation affected macroeconomic management especially financial and monetary policies. Consumer price index hiked 2.35 percent, nearly quintuple that a year before. The pressure on price increase was large because of up prices of crude oil, food and public services. Prime Minister Nguyen Xuan Phuc said that it is difficult to reach the GDP growth target of 6.7 percent this year because it requires the second half rate to top 7.8 percent amid low mining output and negative agricultural growth. Therefore, measures should be implemented synchronously to get the highest results. Agricultural production should be on focus. Marine environmental consequences in the wake of the mass fish death should be repaired to broaden seafood farming in the north central region.